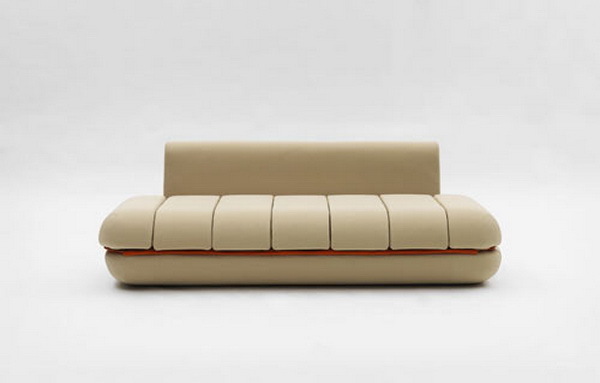 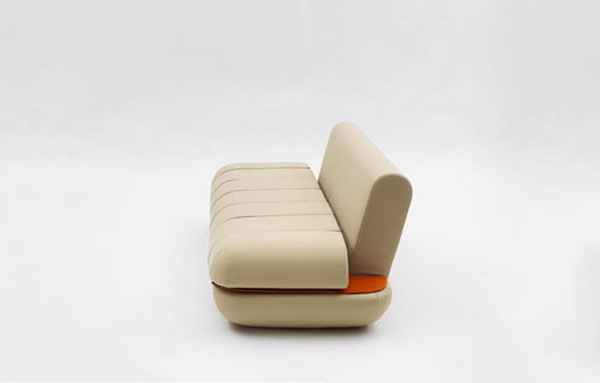 The smooth cream-colored couch by designer Matali Crasset will be one of the stars on display at the Milano – Salone del mobile exhibition. 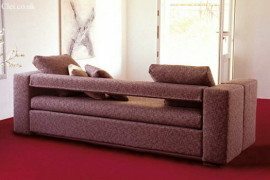 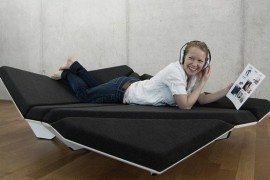 Cute meets multifunctional in this sofa-bed named Dynamic Life, working spectacularly as both a sofa and an extensible bed. 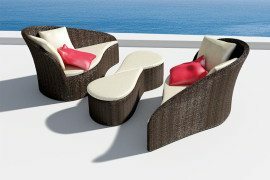 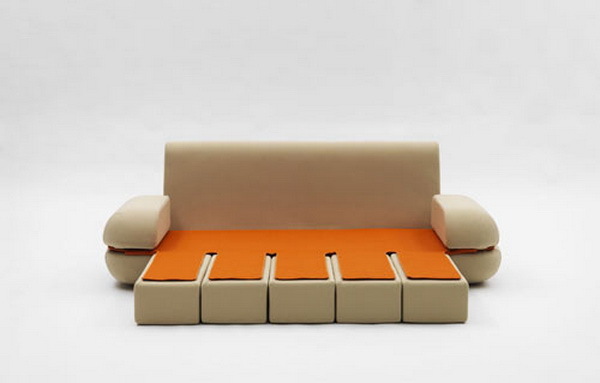 It suits a minimalist or a bold interior, looking youthful, fresh and comfortable, even having a futuristic touch, with its piano key-like row of cushions. 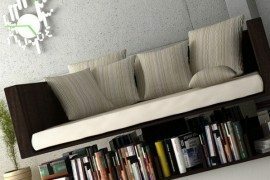 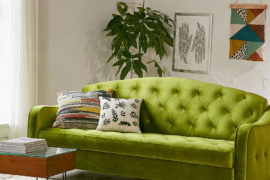 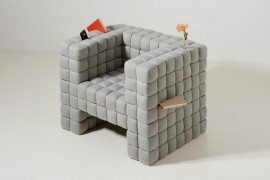 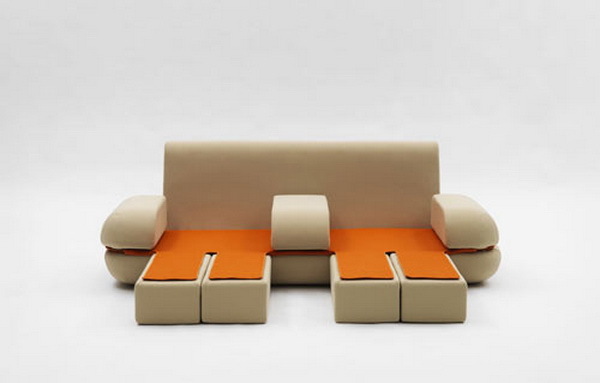 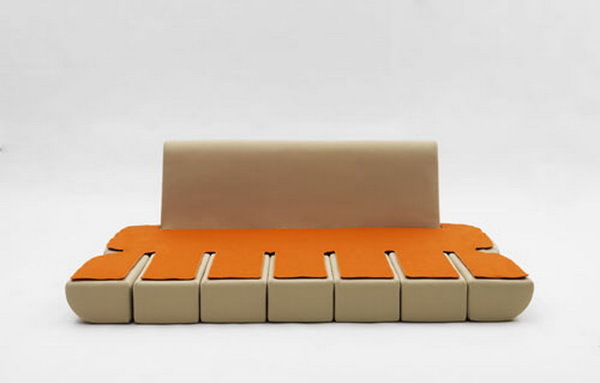 By folding the cushions down, the orange-lined sofa turns to a bed which can accommodate a surprising number of people, which would make it a very handy as well as trendy furniture piece in a students’ hobby room, is the first comparison that comes to mind. 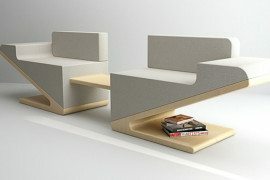 No one ever needs that much bed space (3 to 7 people capacity), but it sure is welcomed and this clever baby is a nice contemporary furniture piece.